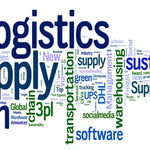 I am a Logistic and Supply Chain Professional and ready to help overworked and overloaded professionals who are preparing for their degree, diploma and certificate papers in Logistics...Read moreI am a Logistic and Supply Chain Professional and ready to help overworked and overloaded professionals who are preparing for their degree, diploma and certificate papers in Logistics and Supply Chain Management. I am also solidly versed in the technics of white hat Search Engine Optimization that is guaranteed to get your Logistics and Supply Chain Management website or blogs in your preferred position on Google. Try me today.